Is God dead? It is a question that tantalizes both believers, who perhaps secretly fear that he is, and atheists, who possibly suspect that the answer is no. Is God dead? The three words represent a summons to reflect on the meaning of existence. On October 17, 2016, Russell Johnson stood at the podium addressing his audience of fellow theologians and religion scholars. “I’m currently teaching an introduction to theology course,” he said, “and last week one of my students began a paper with this inauspicious line: ‘God is one of the most important figures in Christianity and other religions.’” A few chuckles bounced around the crowd. Of course, TIME wasn’t the first to pose that question, as Rémi Brague, professor emeritus at the Sorbonne, made clear in his keynote address later that day. “The idea of a dying god is old hat in the history of religions,” Brague stated plainly. Such statements — and the fact that we keep making them, century after century — might say more about us than about the welfare of any particular deity. For example, when Asclepius cried, “How mournful when the gods withdraw from mankind!” historians say that the writer was responding to the march of Christians into Egypt, and the subsequent demise of a sacred worldview. For the last two millennia, theologians, philosophers, believers, magazine editors, and the rest have been pondering the demise of God. But when we say that ‘God is dead,’ what are we really mourning? Friedrich Nietzsche’s mother had wanted him to become a minister like his father. But in school, young Nietzsche found himself drawn to an iconoclastic brand of philosophy, one determined to expose the cowardice of theistic rationalist thinkers who had come before. At age 20, he renounced his faith in a letter to his sister. Renouncing things suited Nietzsche. He later renounced his Prussian citizenship without claiming any other, leaving him stateless. In the years during which he wrote The Gay Science, he was busy renouncing his health, binging on opium and writing himself prescriptions for a risky sedative called chloral hydrate. 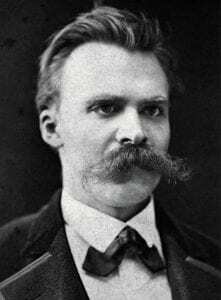 In severing himself from the cozy constraints of God, country, and body, Nietzsche seemed to be actively seeking out that frightening and ugly truth. Perhaps he had realized that such a thing could only be achieved by decisive choice, not by accident. In other words, if the distractions that humans worshipped were to die, their murder would need to be premeditated. Nietzsche’s parable of the madman would eventually usher God-is-dead-ism into modernity. But the year after The Gay Science was published, the philosopher’s unorthodox thoughts on God would render him all but unemployable. There was an eerie parallel to the madman’s own fate. The bleak light of Nietzsche’s lantern, it seemed, would not be visible until things became much darker. Against the void of a black background, the blood-red font appeared bold and threatening. 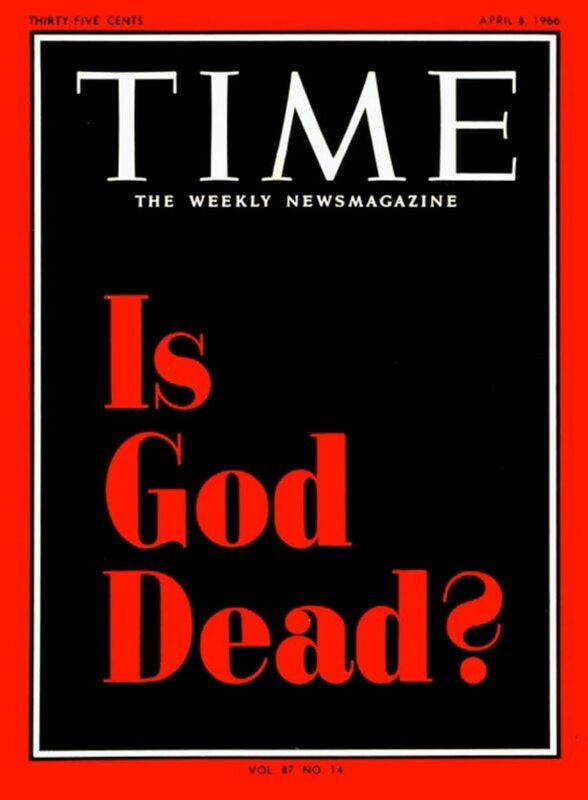 Just three words: “Is God Dead?” The eyebrows of unsuspecting folks in the grocery store check-out line must have leapt with surprise when they saw that April 1966 cover of TIME magazine. Otto Fuerbringer in 1982. Credit Time Inc.
Otto Fuerbringer knew how to get that kind of reaction. The coldly intimidating TIME managing editor possessed an undeniably strong sense of editorial judgment. “Even his critics felt his sense of timing on cover stories was exquisite,” wrote David Halberstam in The Powers That Be, his history of 20th century media powerhouses. The story fit the modern, counter-cultural focus that Fuerbringer — himself a moderate conservative, but with the business sense to fill a lucrative niche where he saw one — had been working to bring to TIME. 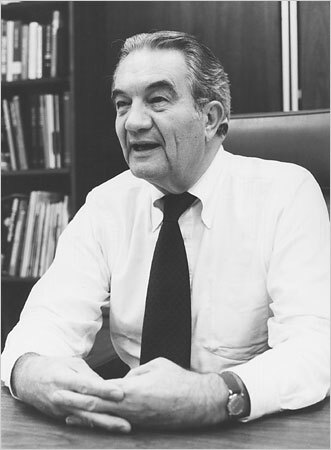 The week before “Is God Dead?”, the cover story had been a sympathetic profile of vice president and liberal darling Hubert Humphrey; a week later would come a cover story positioning the city of London, with its ranks of up-and-coming rock’n’rollers, as the center of the cultural moment. God might have been dead, but TIME was sure hitting its stride. Indeed, the “Is God Dead?” cover prompted intense public conversation (and 3,421 letters to the editor). “We were very lucky in the ’60s,” Fuerbringer would say in an interview decades later. “It was a newsy decade.” Except, “Is God Dead?”, for all its supposed iconoclasm, didn’t contain much real news at all. Time would largely prove the TIME cover to be a non-story. In other words, the piece was not an elegy for God so much as a blurry snapshot of one minor stumble in the deity’s public life — one that, today, looks like blatant scaremongering. Most of the 14 conference presentations over the next two days would grapple with some version of that question. One presenter assessed whether technology and modernization had helped us leave God behind. Another considered the death of God through the lens of Buddhism, which never had a “god” to begin with. But it didn’t take a religion degree to feel the disenchantment that the scholars were picking apart. The approaching presidential election was painting a fresh layer of dread onto every new day. Even closer to home, the famously long-suffering Chicago Cubs, having made it to the playoffs, now appeared intent on giving away their spot in the World Series to the Los Angeles Dodgers. The presenters and attendees invoked both baseball and politics repeatedly over the course of the two days, often in jest, although their comments betrayed a deeper truth: their society was again reckoning with a pesky feeling that certain cherished institutions were crumbling. No conference could answer that question. But as they filed out of the meeting space, perhaps the assembled group of religion scholars and historians took some small comfort in the fact that, after all those centuries of proclaiming the death of the divine, prayers were still prayed; hymns were still sung. That, no matter the outcome of the election, the country would keep lurching forward through history. And as for the Cubs — well, there would always be next year. That shape-shifting melange of doubt and truth and dread, of darkness and the unwelcome lanterns that occasionally burn through it, was sure to outlast them all. Jake J. Smith is an independent writer and journalist based in Chicago. He covers public policy, Midwestern history, and religion. His work has appeared in The Oxford American, The Wilson Quarterly, NPR Illinois, WBEZ, and other outlets. Follow him on Twitter at @JakeJeromeSmith.